I've guest posted about two British archaeologists, Agnes Conway Horsfield and Annie Pirie Quibell (subject of a previous post), for the splendid website Trowelblazers! "Annie Pirie Quibell: Egypt in Words and Pictures" can be found here. 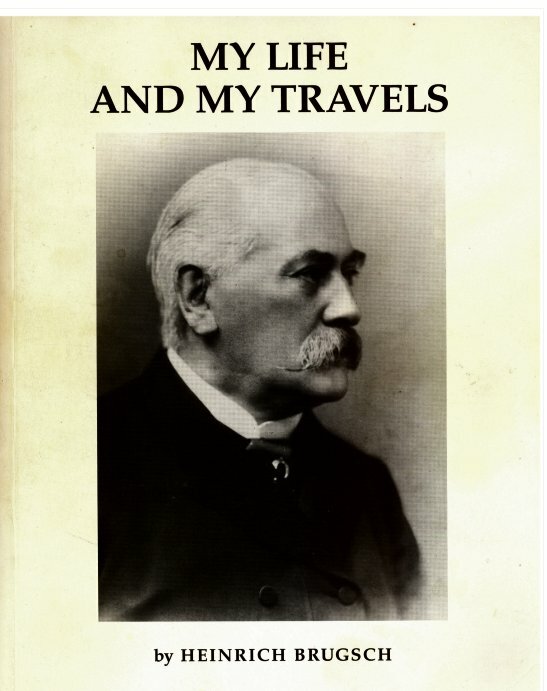 "Agnes Conway Horsfield: Have Camera, Will Travel" can be found here. I first came across Selima Harris (c. 1827-1899) in the great prosopographical compendium Who Was Who in Egyptology. The short biographical entry there describes her as the child of the English merchant/official/Egyptologist/collector Anthony Charles Harris (1790-1869) and an unnamed African woman – or, as a contemporary put it “a native woman”  (to whom he was not married). This not insignificant detail intrigued me, being the child of an interracial marriage - thankfully not so unusual in these modern times. The histories of women in Egyptology are now emerging from the shadows, but the histories of 'minority' women (to use a modern term) in Egyptology are even more hidden. So Selima Harris’ story is worth examining, and I will attempt a brief exploration here. Although as an adult Selima Harris lived mainly in Egypt - on the coast at Ramleh, near Alexandria - she had been educated in England, living with her father’s sister. Returning aged twenty to Egypt, she lived there with her father and remained there until her death. During his lifetime, she was his assistant and travel companion; a letter from A. C. Harris indicates that he arranged for Selima to have photography lessons from an American excavating at Medinet Habu so that they could take photographs during their next expedition. When in Alexandria, Selima also played hostess to the “scientific men” who came to visit. One of them, the German Egyptologist Heinrich Brugsch, wrote of her in his memoir, stating that her scintillating personality and intelligence outweighed the burden of physical “ugliness” her ancestry had yielded; his negative words on her appearance are coupled with words of praise for her social skills and knowledge. She spoke four languages – French, Arabic, Italian and English – and used her wit and charm to great acclaim in Alexandrian society. Her persona seems to sparkle even in the brief glimpses of her in published memoirs and letters. Among her correspondents was Florence Nightingale, who met both Harrises on a trip to Egypt in 1850, a few years before her pioneering work in the Crimea. As Deborah Manley recounts, Ellen Chennells, the English governess for the Khedive Ismail’s daughter Princess Zeyneb in the 1870s, recorded a visit to Selima Harris’s house, Koum-el-Dikke, where “English comforts” sat alongside the relics of ancient Egypt. On her father’s death, Selima was the “sole heiress” to his estate, including his antiquities. In 1872 she journeyed to London to sell her father’s antiquities. I don’t know why she didn’t offer them to the Egyptian Museum given that she was invested enough in Egypt to remain there for the rest of her adult life – it’s an interesting question and one that is worth exploring further. Perhaps her childhood and education in England held an important place in her consciousness. At any rate, Selima Harris brokered the deal with the British Museum, which acquired papyri and other artefacts from her. She also became a “lady member”, from Alexandria, of the Society of Biblical Archaeology (SBA) in London for at least five years (1872-1877). Although they are not on display now, two of Selima Harris’s papyri were shown in the Second Egyptian Room at the British Museum in the 1880s (Nos 10053 and10054). The front entrance of the British Museum on Great Russell Street. In the last few years new investigations have appeared on the experience of interracial couples and mixed-race people in Britain, and at UCL the Equiano Centre presents research highlighting further experiences. A new film, Belle (now out in the UK), brings the 18th century mixed-race aristocrat and Kenwood House resident Dido Elizabeth Belle’s story to the big screen. Hopefully more will follow. So perhaps the next time you’re at the British Museum, you can go to the Egyptian Galleries and tip your hat to Selima Harris. Chennells, E. 1893. Recollections of an Egyptian Princess by Her English Governess. (New edn.) Edinburgh: William Blackwood and Sons. Dawson, W. R. 1949. Anastasi, Sallier, and Harris and their Papyri. Journal of Egyptian Archaeology 35: 161-166. McDonald, L. 2010. Florence Nightingale on Women, Medicine, Midwifery and Prostitution. Collected Works of Florence Nightingale Vol 8. California: Wilfred Laurier University Press. (pp 519, 775-776). Manley, D. 2011. Miss Selima Harris. ASTENE Bulletin: Notes and Queries 49: 20-21. Nightingale, F. 1854. Letters from Egypt. London: A. & G. A. Spottiswoode. (p. 166). The contemporary I refer to is Ellen Chennells. Florence Nightingale, who also knew Selima Harris, identified Harris' mother as "Abyssinian".